Is this really a western? 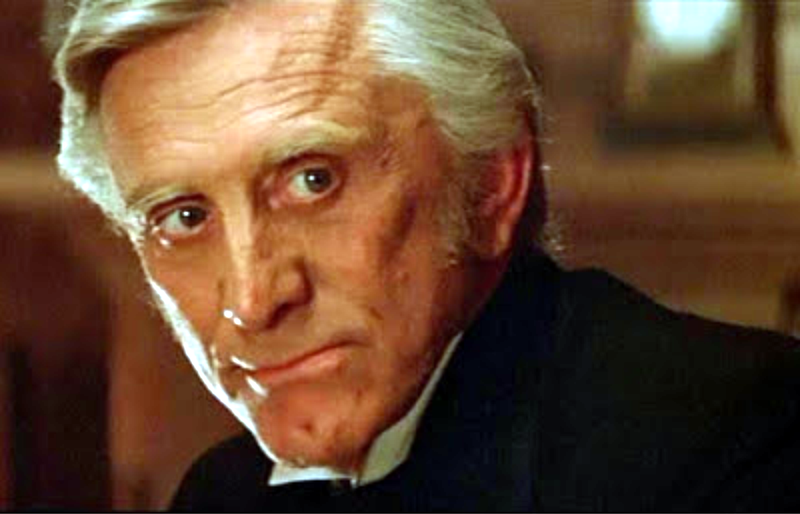 It has horses, cowboys, and ranches, but it is shot in Australia and despite the use of American film star Kirk Douglas, is definitely Australian. To me this film resembles another film shot in Australia with an American star, and that is the Sundowners with Robert Mitchum and Deborah Kerr. Interestingly, the film has very few Aussies in the main roles, which is strange considering the large number of Australian actors that have made it to Hollywood in recent years. Russel Crowe, Hugh Jackman, Kate Blanchett, Nicole Kidman and so on. Well … it’s made in the period, so to speak. And contains all the accoutrements of a Western: guns, fistfights, horses, gals, noted Western actors. It’s a Western .. just in Australia that’s all. Another Western made in Australia is Quigley Down Under – which is one of my Favorites. I really gotta do some work on this Man from Snowy River Profile.. it’s pathetic. 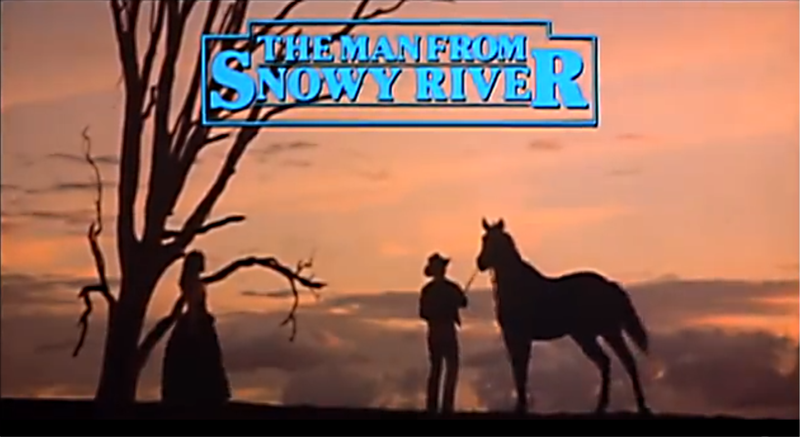 “The Man From Snowy River” is much more of a Western than many so called “American westerns” of the decades after the 1950s, as far as I’m concerned. Granted, there are no gunfights or renegade Indians, but since when are those the only ingredients for a good western? 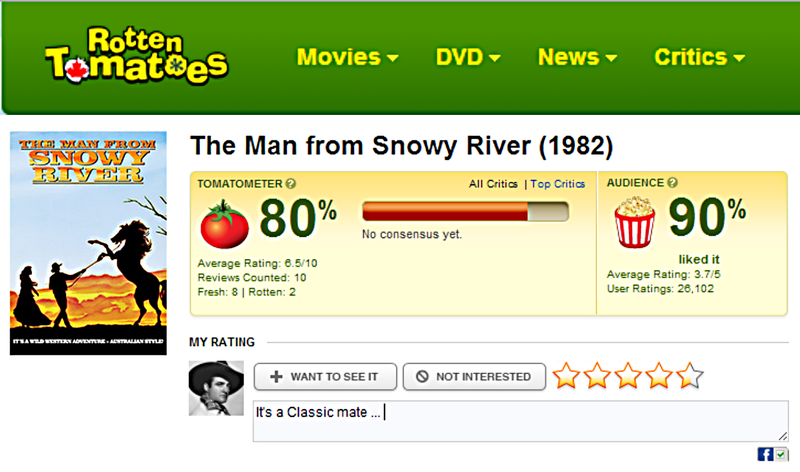 “The Man From Snowy River” is a real gem of a movie, one of Douglas’ best, and your comment that it has “very few Aussies in the main roles” is just plain ignorant given that Douglas is the only American in the cast. Jim Burlinson, Jack Thompson, Sigrid Thornton – all big-name Australian actors in their day (remember, this is a film that was made in the early 1980s). I don’t think Richard meant anything negative toward the Movie or Aussies! I know Rich – he’s my eldest Brother. He also lived in Australia for 7 years or so. All in all a great movie – a Western Classic: fine cast; great story; tremendous Soundtrack … eminently re-watchable. Thank you both for your comments – it will spur me to fix this Page up !! The fact that this is an Australian film featuring American star Kirk Douglas reminds me of the Italian Westerns of the 60s and early 70s that featured American stars in the lead roles. The only difference is the Italian movies really capitalized on the American stars to promote the movie, where here, the Australians barely acknowledge Douglas’ participation in the film. As I recall, the television advertisements didn’t announce Douglas’ name, or any other actors for that matter, and only showed a brief shot of him. It was not until I actually watched the movie that I realized he was in it. I think the Italians were trying to appeal to American audiences by trying to make the movies appear more American. 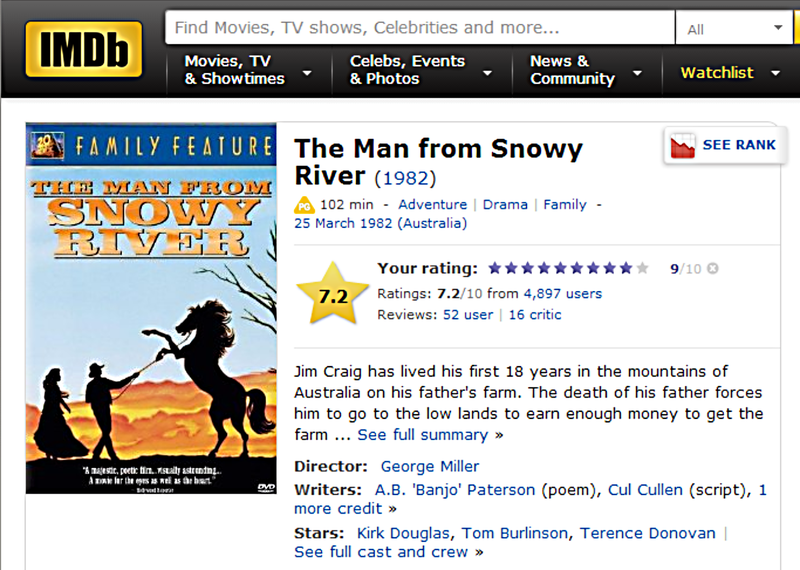 ‘The Man From Snowy River’ is set in Australia and does not try to hide that fact, or present it as the American West. The biggest Italian actor making westerns in the 60s & 70s went by the American name of Terence Hill and looked very American with his blue eyes and blond hair. This just made me realize you have featured none of the Spaghetti Westerns here on your site. Are they not to your taste, or have you just not gotten around to featuring any? I know there are a lot of bad ones, but I enjoy some of them, like ‘Once Upon a Time in the West’ , ‘For a Few Dollars More’, and several of the ones starring Lee Van Cleef. I like many of the Spaghetti Westerns and they will make My Favorites list at some point in the future. Haven’t gotten around to it – as you say. There have been quite a few Westerns made in Australia over the years – some of them are pretty good. And the Aussies have an authentic Western History though we tend to think of such as being uniquely American. Not so. 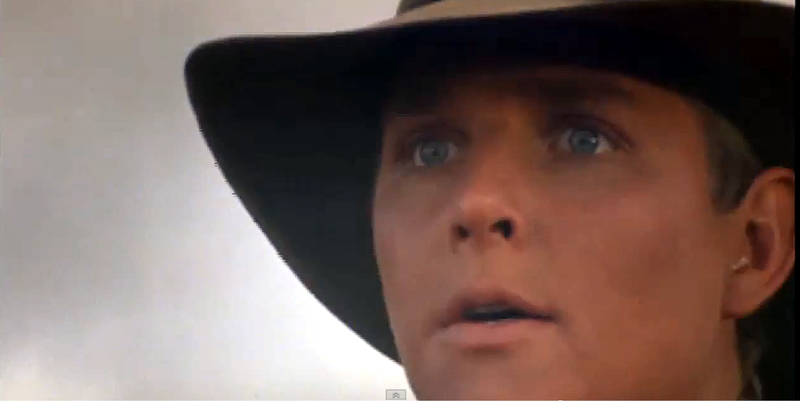 I did a whole series here on Aussie Westerns called Dusters Down Under – if your interested. It sounds interesting. I will have to check it out. You are right about the Australian Western History. I have seen some movies about the legendary ‘Bush Rangers’ of the 19th century Australia. These were frontier outlaws down under. The most famous was probably Ned Kelly. 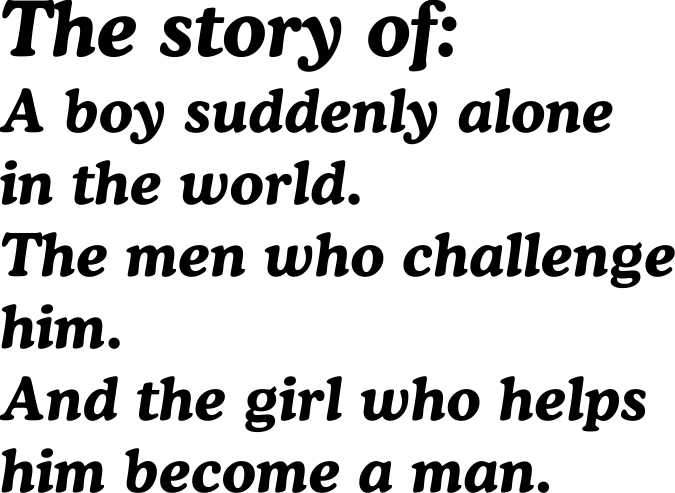 I have seen 2 movies about his life. One starred a miscast Mick Jagger, who played a limp-wristed Kelly, and a newer version starring Heath Ledger in a better treatment of the story. 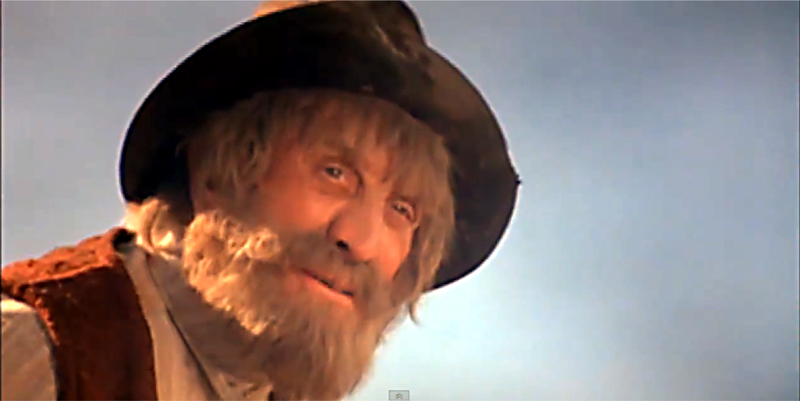 I also saw one about Mad Dog Morgan starring Dennis Hopper in the lead role. I agree the history of Australia is very interesting from their beginnings as a British penal colony and their struggles with the imperialistic government to establish their own identity and rule similar to colonial America fighting for independence from England. This struggle is what drove a lot of the Bush Rangers into the life of bandits and wanted criminals. I would still like to see a good movie treatment of Ned Kelly. He was a larger than life character, big and burly with a full beard, not a skinny Englishman prancing around with a light patchy growth on his face. Heath was better, but still not as imposing a figure as the real Kelly. Jagger had some visual charisma, but can’t act. Ledger was good, but the movie concept is sympathetic – presents Kelly as a Hero. Maybe he was ? This is generally how Aussies perceive him – fighting against oppressive and corrupt government (the Brits?). Hopper was astounding !!! LoL ! Kelly remains a controversial figure to this day. As you mentioned, many regard him as a hero and a Robin Hood type fighting the corrupt government. Others point out the brushes with the law that he and other members of his family always seemed to have. He definitely was a bandit and killed men as well. Whether his actions were justified is still debated. As you noted, the Heath Ledger movie kind of glossed over the acts that he was accused of and made it appear he was framed by the police and forced into a life crime. Like the horse he just happened to be riding. It was never made clear if he stole it or not, just that the police accused him of stealing it. I don’t think there is anyone who would call Mad Dog a hero. Abused by the prison system, maybe, but certainly not an innocent victim. Hopper seemed to identify with the role and brought a lot to the part. Hopper – a true renegade. He never changed his ways. Too bad that movie is relatively unknown – and hard to get. The Mad Dog movie remains relatively obscure and was considered a box office flop, even though it was invited to be shown at the Cannes Film Festival and got good reviews from the critics. The making of the movie is an interesting story. The Australian Government was talked into helping finance it in hopes of promoting Australian Tourism, but were appalled by the finished movie, deeming it too graphic and violent, especially Hopper’s treatment by the prison guards. Wikipedia has a nice write up on it if you are interested. Very good – thank you. I’ve watched the movie and it’s pretty damn entertaining. Hopper is over the top – per usual – as he drunk all time apparently. Amazing stuff.